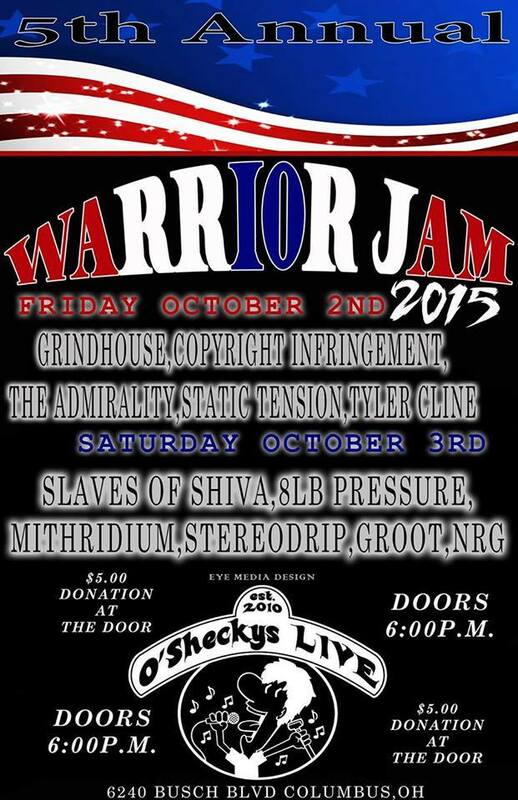 Mithridium is once again honored to be a part of the Annual Warrior Jam showcase taking place Friday October 2 and Saturday October 3, 2015 at O’Sheckys Live! 6240 Busch Blvd, Columbus, OH. There is only a $5.00 cover which benefits the Marine Corps Family Support Community and Warrior Foundation Freedom Station! The lineup is pretty impressive and diverse this time around, so there should be some genre of rock n roll to please anyone in attendance. Mithridium will be performing on Saturday the 3rd.